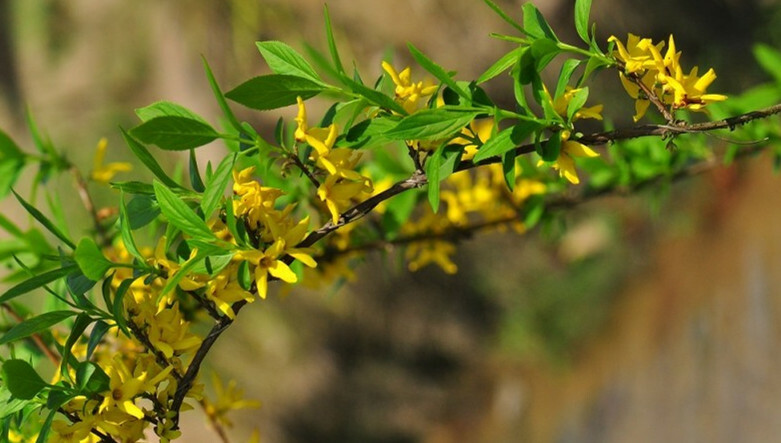 The drug is the dried ripe fruit of Forsythia viridissima Lindl. (family Oleaceae), growing in grassland on mountain slopes, in scrubs, along streams, cultivated in gardens, and distributed chiefly in Jiangsu, Anhui, Zhejiang, Jiangxi, Fujian, Hubei, Guizhou, Sichuan, Yunnan of China. Clear heat and remove toxicity, dissipate nodule. Fever, common cold, swelling and pain of eyes. Decoct 10~15 g or double the dosage of the fresh. Proper dosage is for external application, decocted for washing.